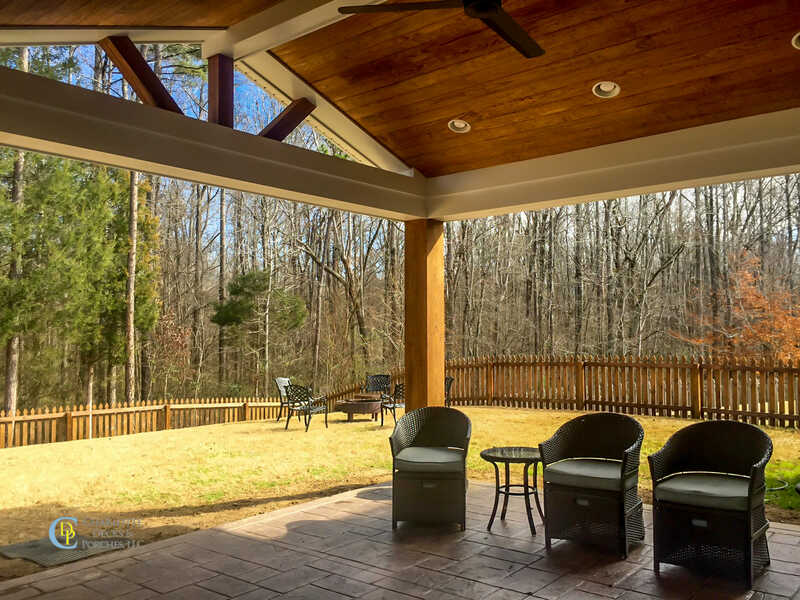 Add value to your home and enhance your outdoor experience with a covered porch from Charlotte Decks and Porches. 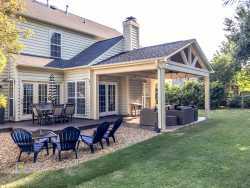 Covered porches are the most common style of the porch, adding a roof and sometimes walls to create an outdoor living area that serves as an extension of the home. 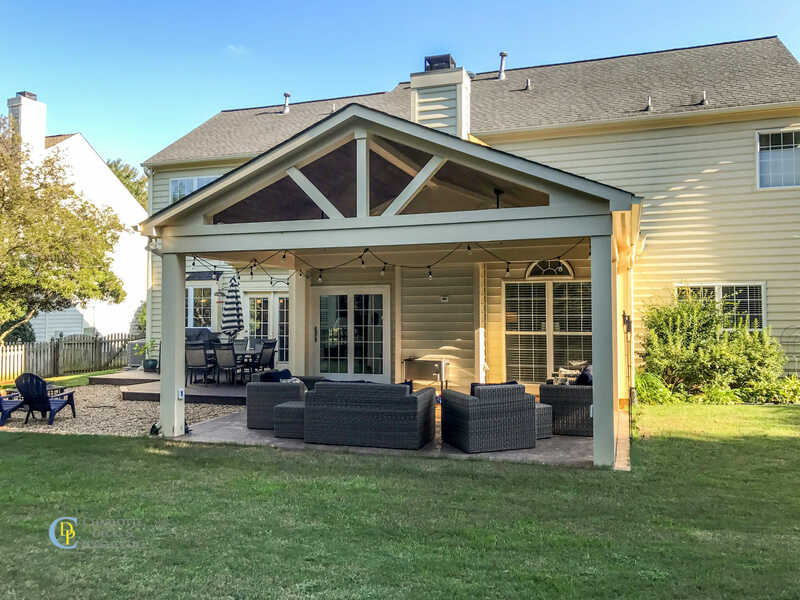 Our custom covered porches are designed to protect your overhead without reducing your connection with the outdoors. They are perfect for homeowners who want to enjoy the outdoors without sacrificing their protection and provides shelter from rain, hail, sunrays, and more. 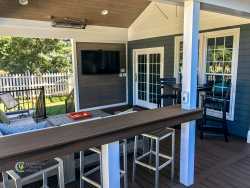 There has been a growing demand among homeowners for attractive outdoor spaces that increase comfort and enjoyment and whether you are looking for a place to entertain guests or to spend a quiet evening outdoors, adding a covered porch can increase your living space, make the home look more spacious and improve the curb appeal of your property. Depending on the region in which you live, a porch can be used for three or more seasons. The warmer the climate, the more impact covered porches, screened porches, and other outdoor improvements have on the home’s overall value. Let our experienced team design a covered porch or cover your existing patio or deck. 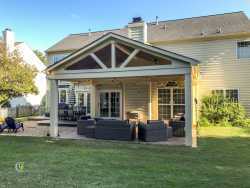 We can create a porch design that will provide your family a lifetime of outdoor entertainment! In the meantime, take a look at some of our favorite porch designs.